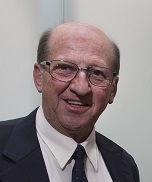 Leyon Parker joined the Parking Australia Committee in 1994 and held the position of President between 2000 and 2009. He holds professional qualifications in Civil Engineering and Post Graduate qualifications in Local Government Engineering and Management. Leyon was employed as the Group Manager of Road and Traffic Engineering at Hobart City Council where his position included responsibility for road engineering assets and policy, traffic engineering and the management of the Council’s on and off street parking supply. This includes a delegated authority from the Tasmanian State Government for approving all controlled parking allocations. His role also included the provision of policy advice to the Council on parking requirements under the various planning schemes and State Government regulations. Prior to joining the City of Hobart in 1982, Leyon was employed by the City of Sydney where from 1970 he was involved in the design and construction of Sydney’s streetscapes and other road infrastructure projects. Leyon has been awarded Life Membership of Parking Australia and in early 2014 he was seconded as an honorary advisory to provide mentoring and assistance on various strategic projects. Leyon is maintaining his involvement in the industry providing parking advice to Local Government in Tasmania.